Leave it to Medibank - Australia’s largest health insurance provider - to commission a head office advocating a healthy body, mind, and spirit. Hassell Studios has built a super-chill greenspace for employees. Hopefully this is a trend that continues to go global. 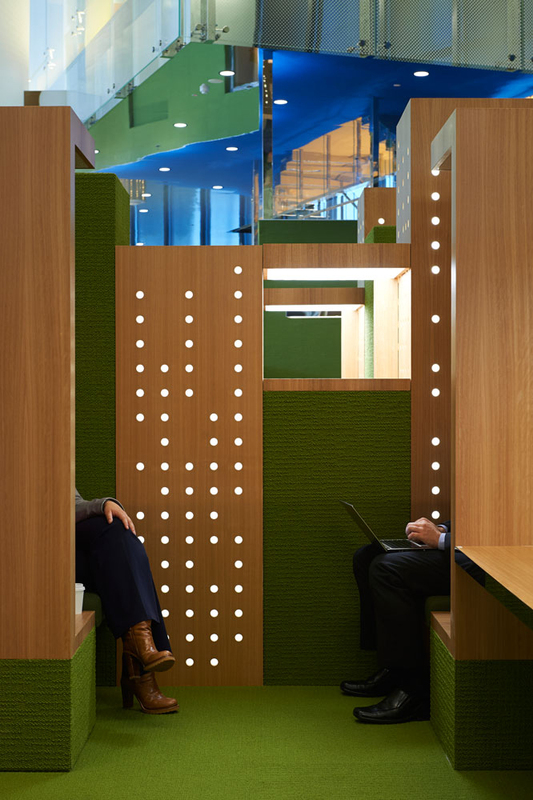 Hassell Studios is re-thinking the office space with Medibank’s vibrant and organic headquarters in Melbourne. 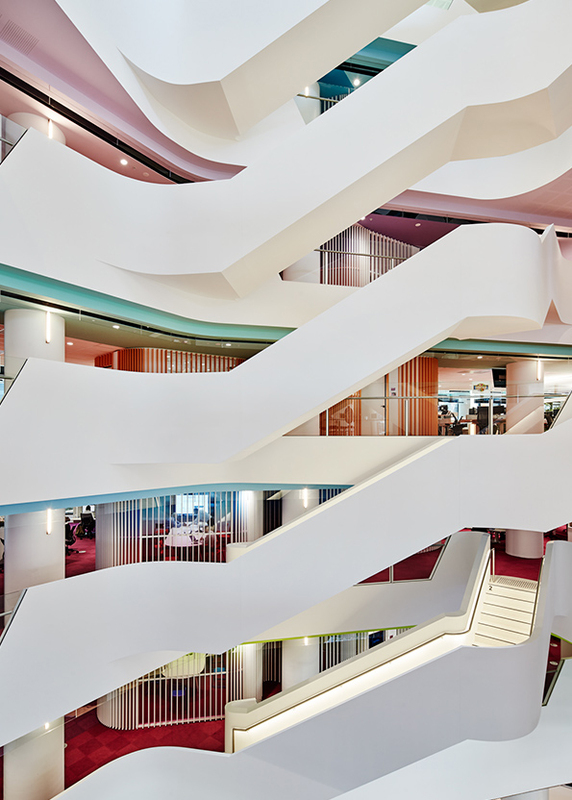 Driven by the aspiration to create a workplace that helps promote health, Hassell built Medibank Place at 720 Bourke Street with sweeping white curves, brightly colored accents, and thousands of plants. 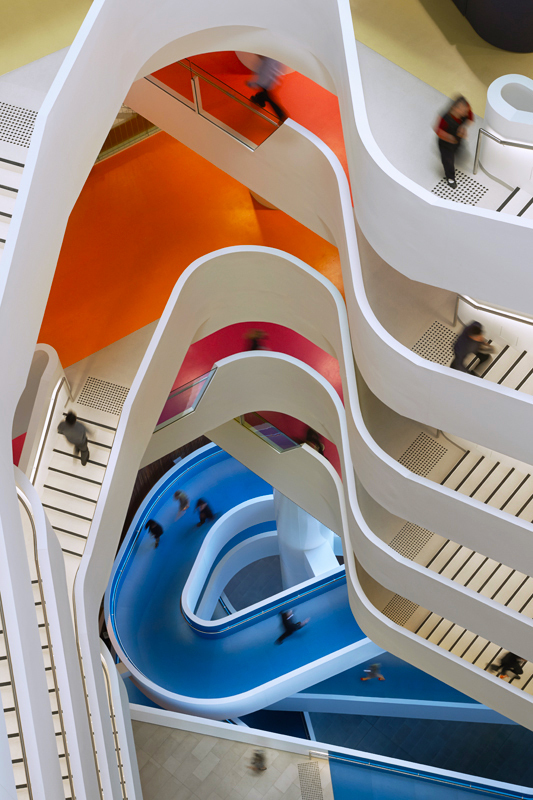 The leading design practice emphasizes innovative collaborations between architecture and interior to ensure their clients’ interests; it makes sense then, that Medibank’s employees reported improvements in both work ethic and health. With the help of creative firms, such as Chris Connell Design, Kerry Phelan Design Office, and Russell & George, Hassell designed a building that offers a rich horticultural haven from the drab greys of busy urban life, boasting an astounding array of 2,820 plants and two 82-foot high green walls. Paired with spiraling ramps and looping ribbons of white trims, the plants create a soft and dynamic setting: the ultimate stress reliever. Not only do the plants improve the air quality within and around the building itself, but they also bring a certain vitality and vibrancy to the office. Midbank Place also hosts an edible garden to promote nutrition for employees, not-for-profit organizations, and the larger community. To further revolutionize the office space, the collective of design firms designed 26 different types of work settings, ranging from indoor quiet spaces and collaborative hubs to sun-lit balconies providing wifi. 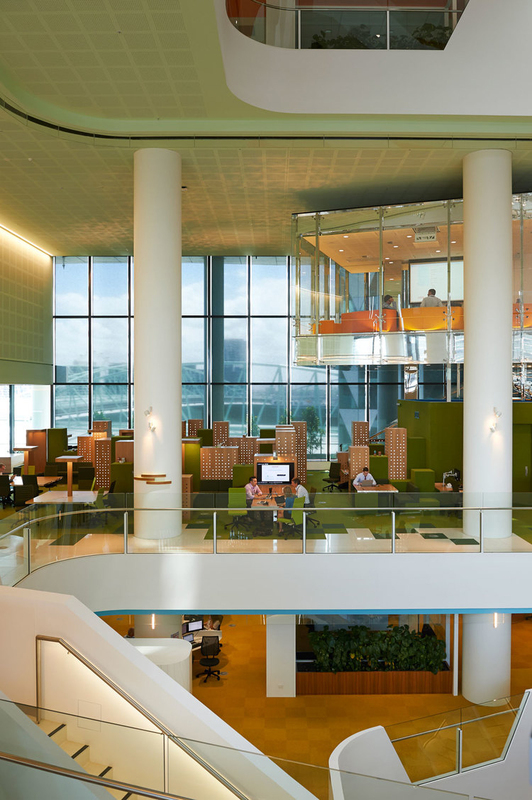 The efforts to make the building itself “hard-wired for health” is perhaps best reflected in the standing stations, which help reduce blood pressure and blood sugar and encourage better postures, and Circadian lighting mimicking natural daylight patterns to support the human biorhythm. For those who really seek to fight the good fight against obesity, there is a multipurpose sports court right on the ground level of the building. Incredibly, 70% of the employees reported that they were healthier working at Medibank after only four months. It is apparent that Hassell’s integrated design teams - architects, interior designers an landscape architects, - came together wonderfully to create a truly stimulating space. Not only did 79% of the employees at Medibank Place say that they were working more collaboratively, but 69% said they were more productive, and there was a 5% reduction in absenteeism. 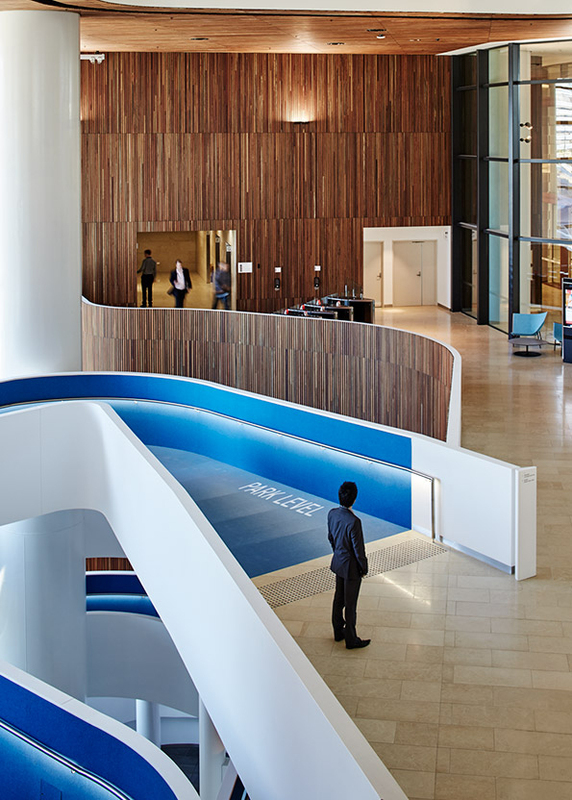 In addition to the sinuous aesthetics of the building, Medibank HQ’s design reflects the health insurer’s very ideology: prioritizing health in every aspect of life. Interior space designed by Russell & George.